Q：Do tell us about your feelings and experience when you tried whisky for the first time. A：It was an eye-watering experience! I was about eight years old and I stole a sip from my dad’s glass. I remembered wondering what was wrong with grown-ups. Why would they do this to themselves’?After a telling off from my dad and the passage of another twelve years, my palette had matured to the point where I was starting to enjoy whisky. In those days, people were not encouraged to add anything other than water to their whisky and that’s how I still enjoy it today. Q: Why do you love whisky? A:Whisky has been part of my life for as long as I can remember. Where I live has a long history of whisky making, and my oldest and most distant memories are of the smells from the distilleries and the yeast factory around where I live. Indeed, the yeast factory is still producing for the industry and is only a few hundred meters from my house. 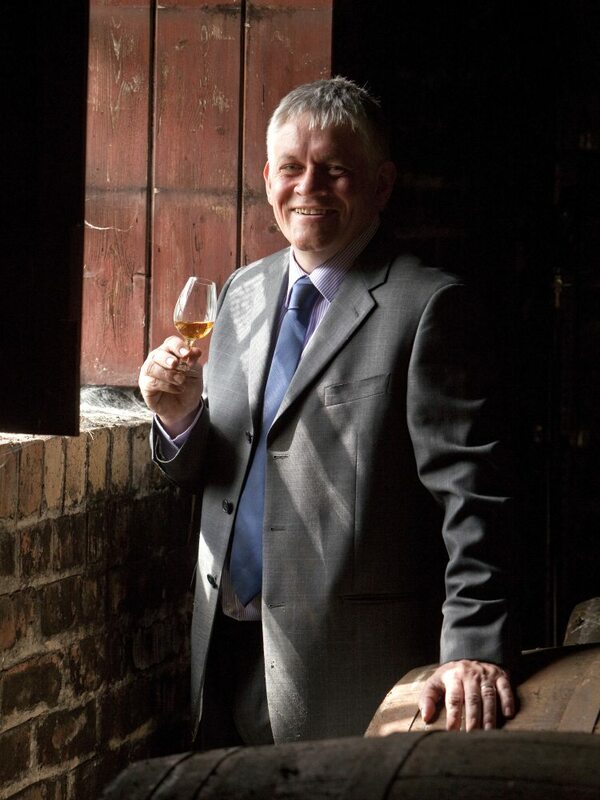 My father worked for the company too, for over forty years, so you could say that whisky has made me what I am today. And of course, I love it because it tastes amazing! Q: In your opinion, what is a whisky’s spirit? A: Scotch whisky is very much part of our history and the landscape. Diageo is the custodian of distilleries which are truly imbedded within the communities of which they are a part of. Indeed, in some cases there would be no community were it is not for the distillery. These villages are known the world over for the fabulous whiskies they produce. So, people, place and tradition are what I would say encapsulate a whisky’s spirit. Q：In your personal opinion, what is the best time and occasion to enjoy whisky in your life? A：For me, whisky is the drink to celebrate any occasion. I really enjoy hillwalking and I always mark the occasion of reaching a new top with a celebratory dram. On a cold, wet and windy climb, the thought of it is what keeps me going. Also, I like nothing more than to start the weekend with a couple of glasses of Black Label after dinner. Q: How would you recommend a beginner to choose a whisky to drink? 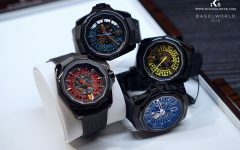 A: With care! Always choose a high quality whisky, and don’t be afraid to drink it in any way you want to. That can be straight up or with any mixer you choose. If you start off by trying a cheap supermarket-owned brand then you are most probably not going to be impressed. Of course, I would recommend any Johnnie Walker brand product. There is a flavour style to suit anyone who enjoys Scotch whisky within the range. Q：What is your favourite whisky to drink? A：The whisky I drink most of is Johnnie Walker Black Label. It is Scotch whisky perfection. A: The main challenge with Sherry Edition was to create a unique blend which was true to the flavour characteristics and tradition of Black Label. 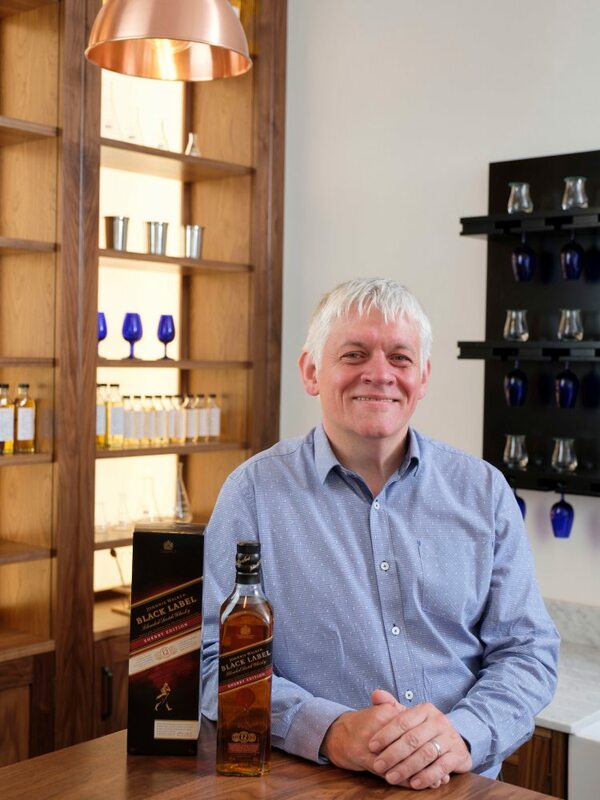 It is always a great privilege to be trusted to work on a Johnnie Walker whisky and there is a lot of pressure, most of it personal, to make sure that the blend being created is something that both the company and I are proud of, that our consumers will love and one that enhances the Johnnie Walker portfolio. Q: Can you explain in your own words what makes Johnnie Walker Sherry Edition such a unique whisky? 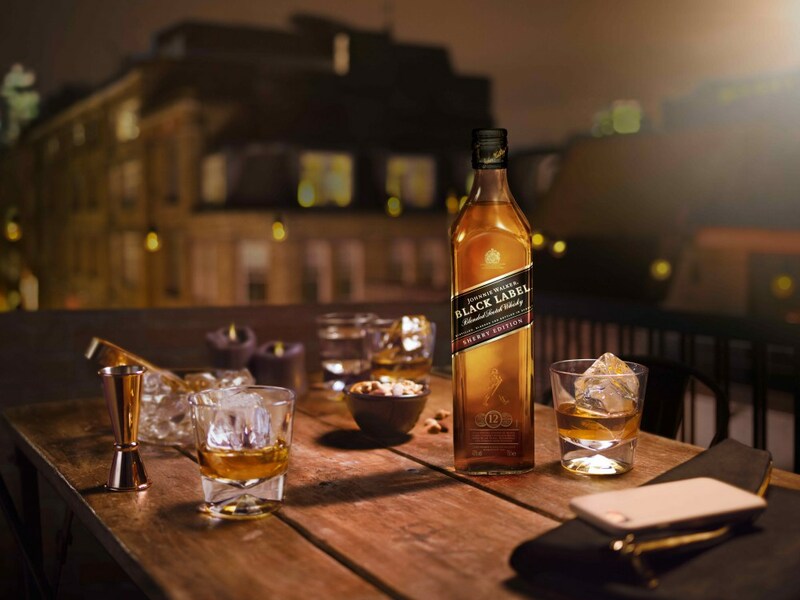 A: With the Sherry Edition, I wanted to explore the fantastic fruit flavours which are a highlight of Johnnie Walker Black Label. Using the ex-sherry European oak casks was the way in which I was able to enhance and really showcase the rich fruit flavours which are part of the blend. By employing the technique of only using those casks to perform a secondary maturation of a portion of the blend, the well-loved and familiar characteristics of Black Label are not lost and still form the backbone of Sherry Edition. Q: You have been with Diageo for over 35 years, thus we would like to know, what is the best part of your work and what is the moment(s) you enjoy the most? A: Without a doubt the best part of the job is being presented with a new blending project to work on. It’s always exciting to be given the product brief to look over and formulate in my mind how the new product might taste and wonder how I’m going to achieve that flavour. The most enjoyable part of my job is seeing the bottles containing my creations whizzing down the bottling line. That gives me a real sense of achievement. Q: Are you currently facing any challenges as a Master Blender? A: The main challenge I face as a Master Blender is to remain innovative and creative in what I do. It’s always too easy to stay within the formulaic tried and tested boundaries of whisky making. If consumers are to be kept excited by Scotch whiskies then it’s important for people like me to provide them with new and interesting takes on their favourite whiskies. Further Reading： Lagavulin Splendor Wine Lingering Two Centuries!